Speed, Simplicity, and Security. These 3 words have been used to describe Google’s Chrome OS—its desktop/laptop operating system built on the Linux kernel—since it was first introduced. But I would argue that Google’s Pixel line of Android smartphones also embodies the three S’s in Chrome OS’ motto. Google’s approach with the Pixel line is wildly different when compared to most Android device makers. Instead of packing every software feature imaginable along with every possible sensor, Google focuses on bringing the best camera performance with the least effort required from the user. Each new iteration of Pixel phone also brings a few new non-camera software features to the table as well as many under-the-hood performance and security enhancements, and the end result is a smartphone with the best of Google software. The Google Pixel 3 XL smartphone has a ton of new Google Camera features and a clean Android Pie interface with some useful additions, but it also has the controversial display notch. In this review, we explore the Pixel 3 XL‘s design, software, camera, audio, and accessories to help you make an informed decision on whether the phone lives up to its price tag. We will follow up with a review on the Pixel 3’s performance, battery life, and display once we’ve spent more time with the device. Here’s a summary of my thoughts, and I’ll, of course, go into further detail down below. It comes with Android 9 Pie and Google offers 3 years of monthly security patch updates and 3 years of Android platform updates. A great camera that even a beginner at photography like me can use. HDR+ is as superb as ever, and even faster thanks to an updated Pixel Visual Core. Portrait Mode is also enhanced thanks to a new wide-angle lens. With Top Shot and Motion Tracking Autofocus, I don’t have to worry that much about my unsteady hands. Thanks to Super Res Zoom, the Pixel 3 XL makes do with only one rear-facing camera. It’s poised to be the most secure consumer Android smartphone on the market, just judging from previous generations. The speakers are loud and crisp. The Pixel USB-C Earbuds produce excellent audio output. The soft touch glass back feels great in hand, and I’m tempted to use the device naked. Fused Video Stabilization (Google’s algorithm combining OIS and EIS) makes video recordings really stable while on-the-go. The notch can be a little distracting with how large it is. The bottom bezel is larger than I would have liked. The wireless charging via the Pixel Stand isn’t as fast as competitors’ products. The 3,430mAh on the Pixel 3 XL is overshadowed by the 4,000mAh+ batteries offered by competitors, though a full battery life review will be coming in a future article. 4GBs of RAM is outdated when looking at flagship smartphones with 6 or 8GBs of RAM. Google’s use of zRAM helps (512MB is what they’ve set), but I experience more application redraws on my Pixel 2 XL and Pixel 3 XL compared to my OnePlus 6. I will test the software’s ability to keep apps in memory in a future article. It’s really expensive, and I fear the devices won’t gain much traction in the market due to its high price. You might as well write off the device in India considering how much more expensive it is when compared to the POCO F1 and OnePlus 6. No support for 4K video recording at 60FPS, which is odd considering other devices with the same chipset and image sensor are capable of it. Next, here’s a table comparing the specifications between the smaller Google Pixel 3 and the larger Google Pixel 3 XL. Display 5.5-inch 1080×2160 (18:9) OLED display. Gorilla Glass 5. HDR support. 6.3-inch 1440×2960 (18.5:9) notched OLED display. Gorilla Glass 5. HDR support. About this review: I have the international variant of the Google Pixel 3 XL. 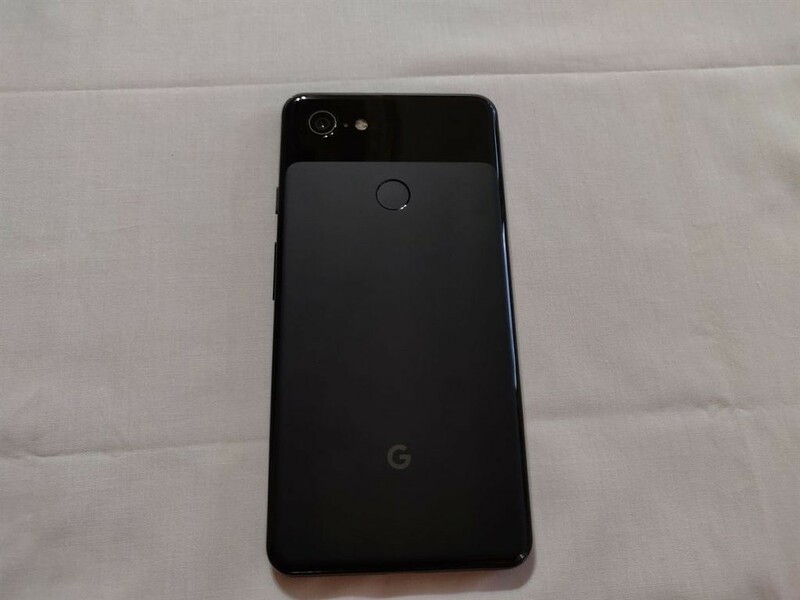 The review unit of the Pixel 3 XL was provided by Google at the end of the day on October 9th. Thus, I have had about 5 days with this unit. For this reason, I will be writing my thoughts on the battery life and performance once I have had more time with the device. I will also defer the display analysis to Dylan Raga. Lastly, I did not review the Google Duplex or Night Sight features as they were unavailable for reviewers at the time of publication. With the smartphone industry trending towards smaller bezels, it was inevitable for device makers to find new ways to reduce the size of the top bezel. 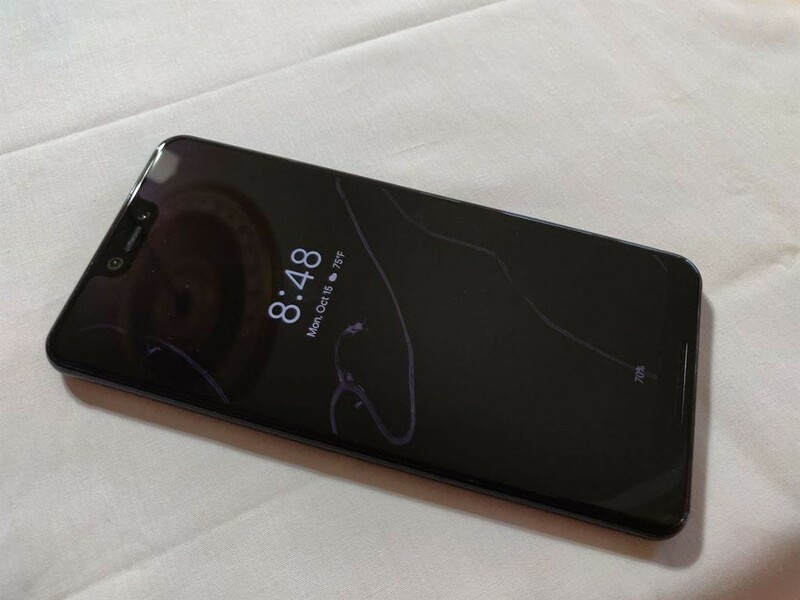 The display notch trend was started by Sharp with the Aquos S2 and Essential with the Essential Phone, but was popularized by the Apple iPhone X. Using a notched display lets companies reduce the size of the top bezel by building the display around the sensors which are normally packed into the top bezel area. 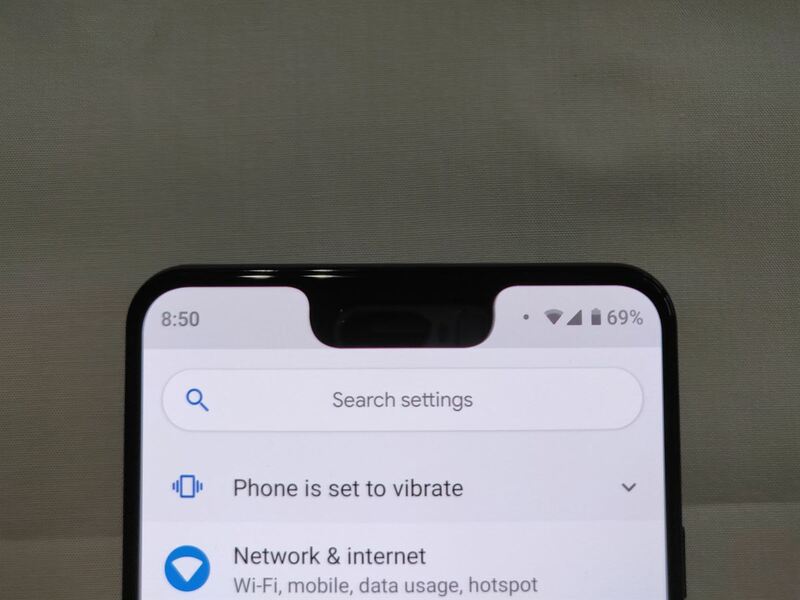 The size of the notch depends on how many components that device maker is willing to remove. 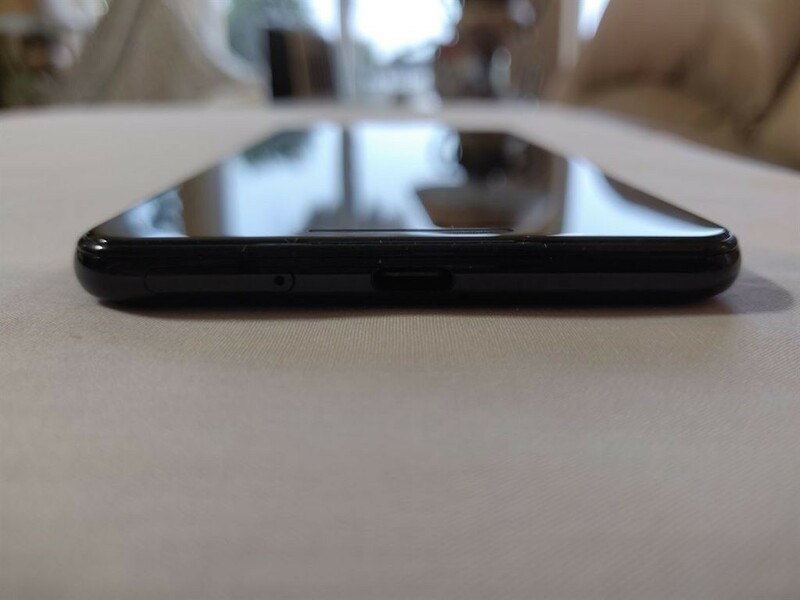 The OnePlus 6, for instance, has a fairly small notch but sacrifices a larger speaker and space for a secondary front-facing camera. 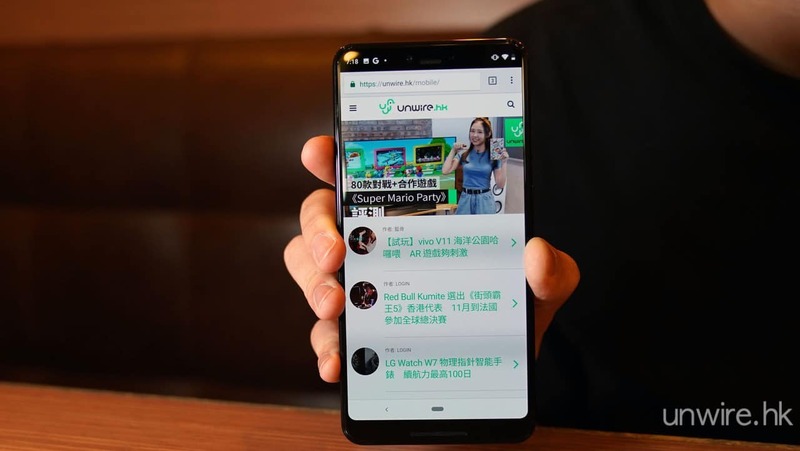 The LG V40 ThinQ, Huawei Mate 20 Pro, and Google Pixel 3 XL all have fairly large notches by design: The LG V40 ThinQ‘s notch area houses dual-front facing cameras and a single speaker, the Huawei Mate 20 Pro‘s notch area houses a single front-facing camera, a speaker, and a sensor for 3D facial recognition, and the Google Pixel 3 XL’s notch area houses dual front-facing cameras and a single large speaker. Google’s decision to use a notched OLED panel is a compromise between satisfying users who want smaller bezels and users who want great selfie cameras and speakers. Does that mean you have to like Google’s design decision? No, and in fact, I agree with many of you that the Pixel 3 XL’s notch can be distracting. After using the OnePlus 6 (with a proper notch hiding feature, mind you) since release, it felt a bit strange to switch to the Pixel 3 XL. The Pixel 3 XL has the biggest notch I’ve ever seen on a smartphone, and while I personally have gotten over it, I won’t tell you how you should feel about it. 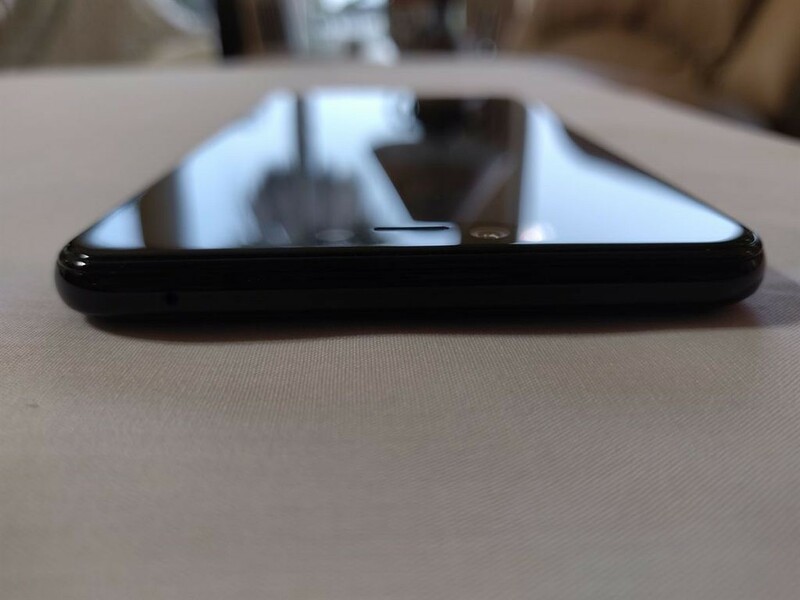 In person, the notch is really as big as it looks in photos. If you’re expecting anything different than what you’ve already seen online, then you’re setting yourself up for disappointment. That being said, I do recommend taking a look at the device in person if you have the opportunity—you may feel differently after holding the Pixel 3 XL for yourself. Lastly, there are ways to hide the notch if that’s the way you want to go (more on that later). The bottom bezel is an entirely different story. It’s quite large, unfortunately. 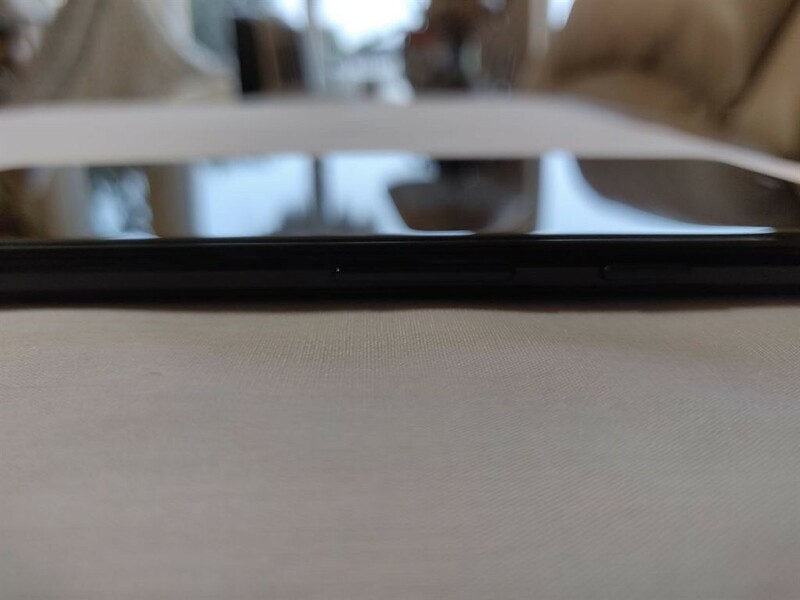 Razer uses the entire bottom bezel as a massive speaker on the Razer Phone 2, while the Pixel 3 XL houses a single (quite large, by most standards) speaker. 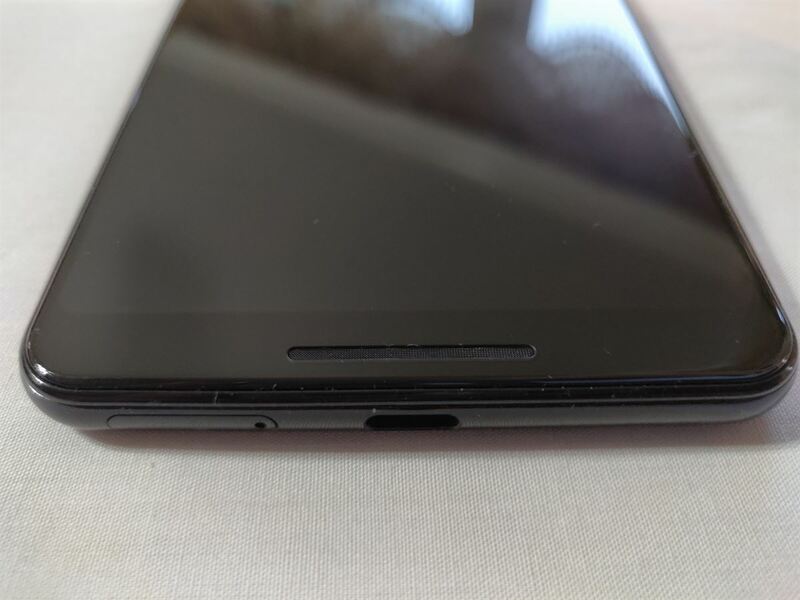 I am not sure how much more of the bottom bezel can be eliminated without having to move the speaker to the bottom like the Huawei Mate 20, but if Honor can reduce the bottom bezel on its budget devices beyond what most flagship brands have accomplished then I can’t help but wonder if more could be done. The design aspect that Google has absolutely nailed each year is the dual-tone color choice for the rear of the Pixel. 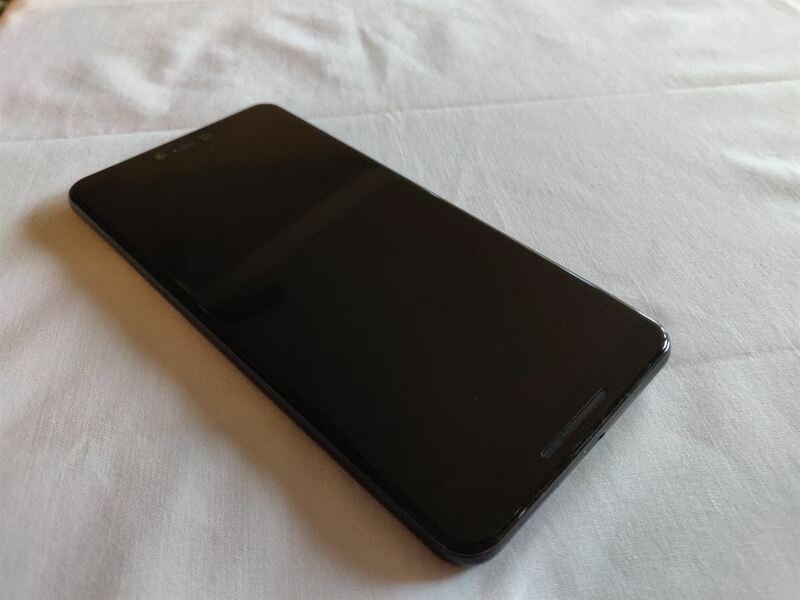 The Pixel 3 XL that I received came in “Just Black” which looks almost dark gray when light shines on it. I’m personally a fan of the Clearly White (commonly called the “Panda” by the community), but I have no qualms with any of the color choices used by Google this year. Although I love the Always on Display and the new Pixel Stand, I hate that the notification LED has been removed. Even Google warns that enabling Always on Display may lead to increased battery usage. For those users who want to maximize battery life by disabling the Always on Display, they’ll now have no way of knowing if they have any new notifications if they don’t wake the device to check. 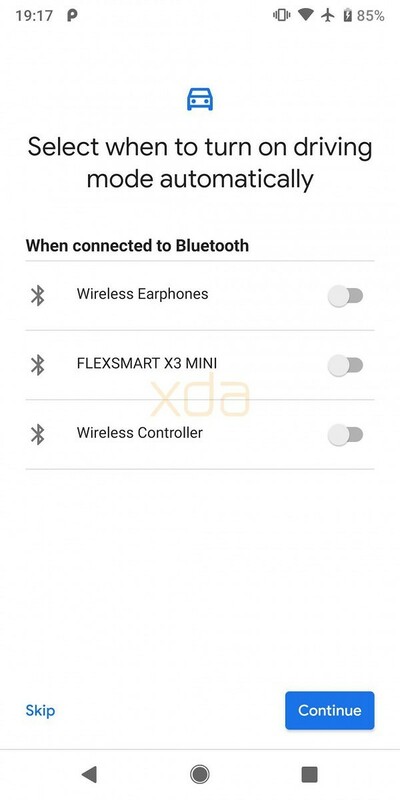 I quit customizing notification LEDs because I used to factory reset all the time when switching ROMs, but I know that the notification LED can be quite useful when fully customized to suit your needs. 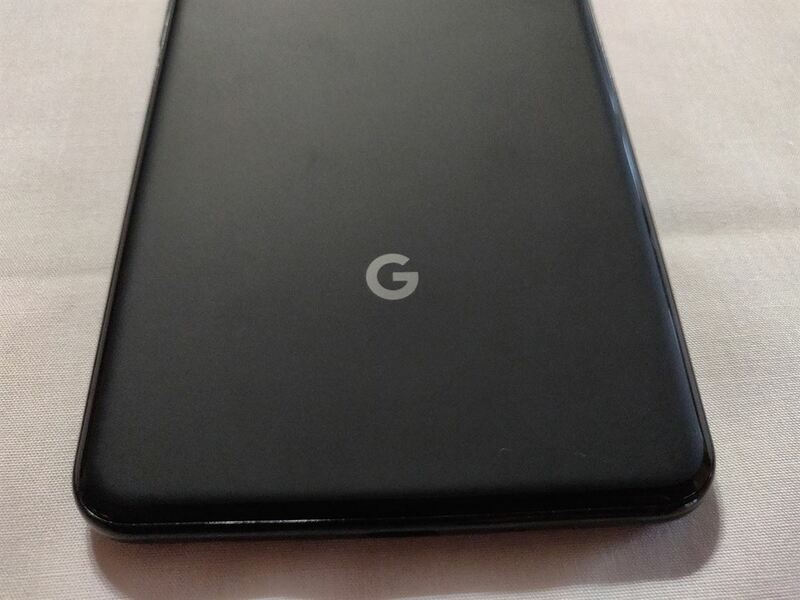 Before the Pixel 3 XL was announced, some users may have seen this picture floating around that showed the device with a “hidden” notch. The reason the notch was hidden in that picture is that older versions of Google Chrome did not color in the status bar, which is by default black. 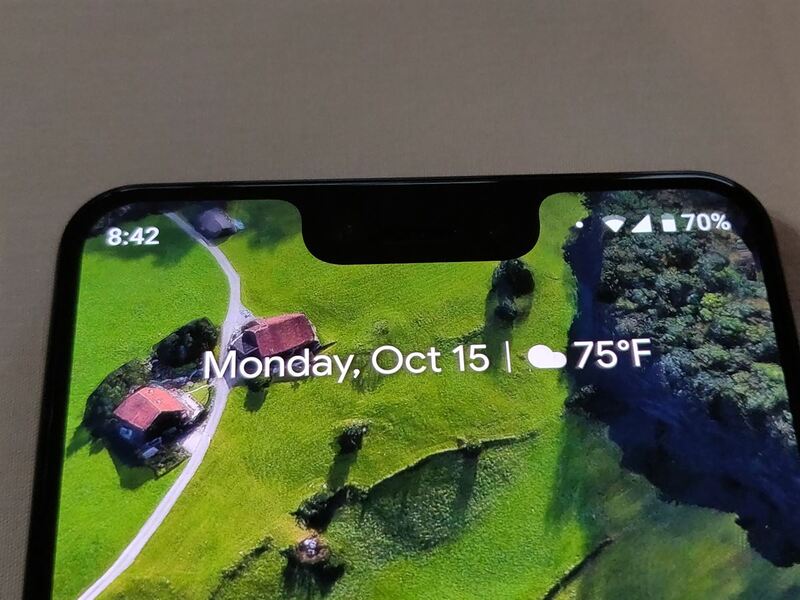 The notch on the Pixel 3 XL houses Android Pie’s status bar; if an app requests that the status bar be a certain color, then the notch area will take on that color. For example, browsing to the XDA homepage in Google Chrome will turn the status bar, and also the notch, orange. Opening the Settings app turns the notch white. 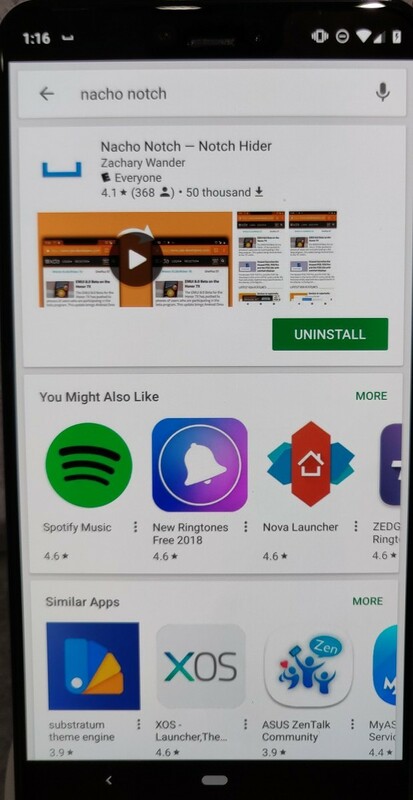 Apps that display content behind the status bar (like Google Maps or the Pixel Launcher) will also show content in the notch area. There’s nothing really special about the way it works: It’s just a status bar that’s been moved up. Because it’s just a status bar, that means it can be manipulated with. 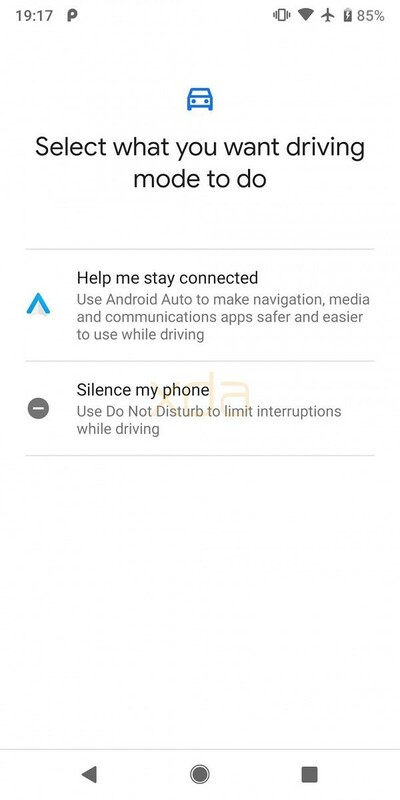 Google added a built-in notch hiding feature in Developer Settings that’s just an extension of the existing “Display cutout” developer option. Selecting the new “Hide” option activates an RRO overlay called “DisplayCutoutNoCutout” which forces the display cutout region to blacken, reduces the status bar height in portrait mode to 28dp, reduces the top rounded corner radius to 70px, and lowers the activation area for pulling down the Quick Settings tiles. This effectively turns the Pixel 3 XL into a Pixel 2 XL. An alternative way to hide the notch is the blacken the status bar area without moving it down, which is what our Nacho Notch app does. Hiding the notch by selecting “Hide” in Settings –> Developer options –> Display cutout. Left: Google Pixel 2 XL. 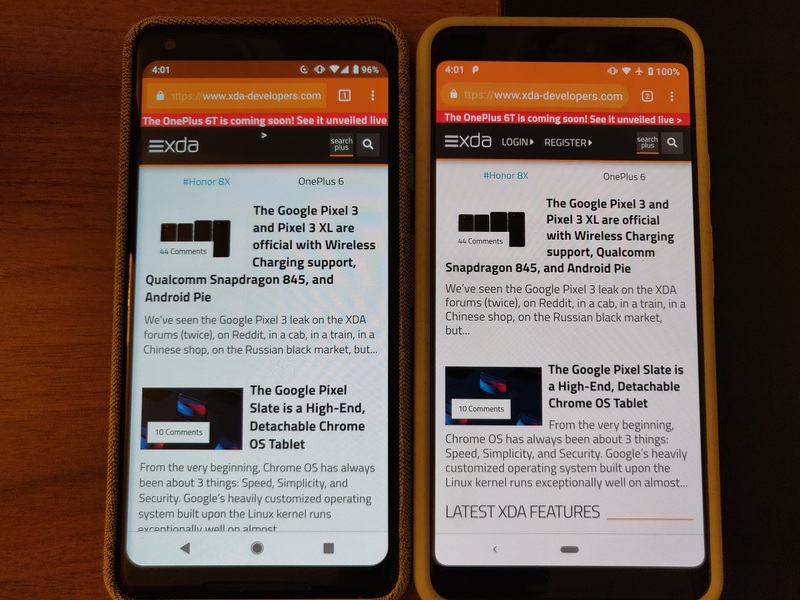 Right: Google Pixel 3 XL. 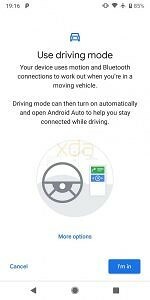 Google introduced gesture navigation in the second Android P Developer Preview unveiled at Google I/O 2018. Unlike OnePlus, Xiaomi, or Huawei’s gestures, the Android Pie gestures don’t free up any screen space. Instead, the traditional 3 button layout of back, home, and recent apps overview is replaced by a 2 button layout of a back and home pill. The home pill can be quickly swiped right to return to the previous app or swiped and held to enter the new, horizontal recent apps overview. In the recent apps overview, you can continue holding and moving the home pill to select a recent app. The recent apps overview can also be accessed by swiping up from anywhere on the navigation bar. 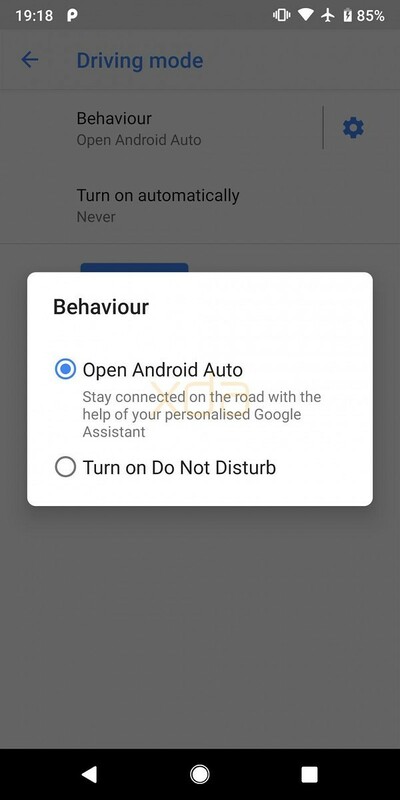 Google has made this form of navigation the default on the Pixel 3 and Pixel 3 XL with no way to disable it. In stock Android Pie, you can disable gestures by going to Settings –> System –> Gestures –> Swipe up on home button and unchecking the toggle. 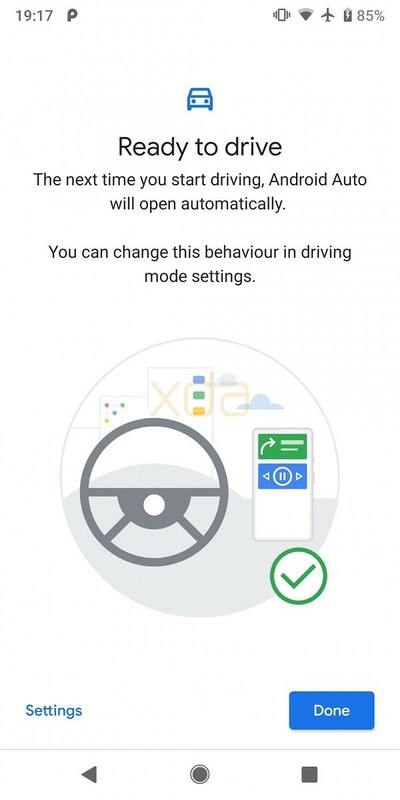 Via a framework-res overlay, Google has removed this option on the Pixel 3. That means you’ll need root access to bring the toggle back so you can fully disable the gestures. There is, however, a way to bring back the 3 button navigation bar layout that doesn’t involve root. The hidden navigation bar tuner from Android Nougat still exists in Android Pie, even if you can’t access the interface directly. An app on our forums called Custom Navigation Bar provides a GUI for the navigation bar tuner that you can use to modify the navigation bar buttons. If you do so, you’ll lose the ability to trigger the Google Assistant via a long-press of the home button (though Active Edge still works). Also, the icons won’t automatically change colors with the rest of the navigation bar—meaning in some apps, the navigation bar buttons will still be white while the background is white. Lastly, the navigation gestures aren’t actually disabled and can still be used, though I don’t really see this as a downside. Hate telemarketers? Then you might like Call Screening. The feature lets a robot (Google Assistant) answer calls on your behalf with a pre-written message asking for their name and why they’re calling you. Any responses from the caller are transcribed for you to read, and you can respond by telling Google Assistant to ask for more information (“Tell me more”), request for the identity of the caller (“Who is this?”), or tell the caller that their last message wasn’t understandable (“I can’t understand.”) If you want to pick up the call, all you have to do is tap on the green phone icon. If you want to hang up, you just press the red phone icon. Call Screening is a really straightforward and simple feature to use. Unfortunately, it won’t solve the issue wherein even picking up a phone call from a spammer signals that your number is live, and hence they’ll call you back with more spam. Still, that’s not the fault of the feature, so I can’t really mark it down for that. Use Call Screening sparingly, though. You might offend someone who doesn’t like the idea of being screened by a robot. Call Screening is already available on the Google Pixel 3 and Google Pixel 3 XL and will be available for the Google Pixel and Google Pixel 2 next month. Call Screening on the Pixel 3 XL. The transcription wasn’t perfect, but it got the point across. There are zero surprises here considering the Google Pixel 3’s new live wallpapers were already posted online and ported to other devices before the new Pixels were even announced. Still, we’ll mention this feature because the new Live Wallpapers’ Always on Display support only works on devices with the AOSP implementation of the Always on Display. That means it only works on just the Pixel 2 and Pixel 3, though I’ve heard running these on the Pixel 2 with Always on Display enabled can cause flickering issues. On the Pixel 3, the effect is subtle for most Live Wallpapers—a few outlines, shapes, or characters here and there—but it’s really neat. Only Samsung has really used the Always on Display in a really creative way with wallpapers and now GIFs, but Google’s implementation is closing the gap. It’s easy to think of Playground as just a re-branding of AR Stickers. In a sense, they’re still something that you might use once or twice and never use again unless you want to show off to your friends and family. 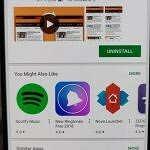 But the new features Google added do add some value: Characters can interact with other characters and people in the frame, sticker suggestions appear based on what’s on screen, stickers can be placed from the front-facing camera, and characters can react to your facial expressions. These new features make Playground feel more “alive” than AR Stickers. Personally, this is what AR Stickers should have been like from the beginning. To be honest, I don’t think I can adequately capture these effects on camera or via screenshots, so I recommend you view Google’s official video on the feature. It works exactly as expected during my use at the Made By Google event and with my review unit. Like I said before, I don’t see anyone using Playground more than a few times, and the novelty of augmented reality stickers has worn off after every OEM added their own takes on the feature. But Google’s is more polished than others’, so I can see why they’re pushing the feature. 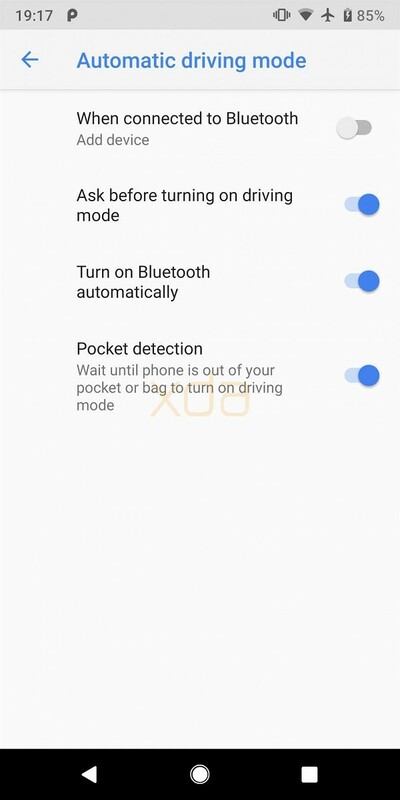 The Pixel 3 now has a dedicated “Driving Mode” in Connected Devices settings. 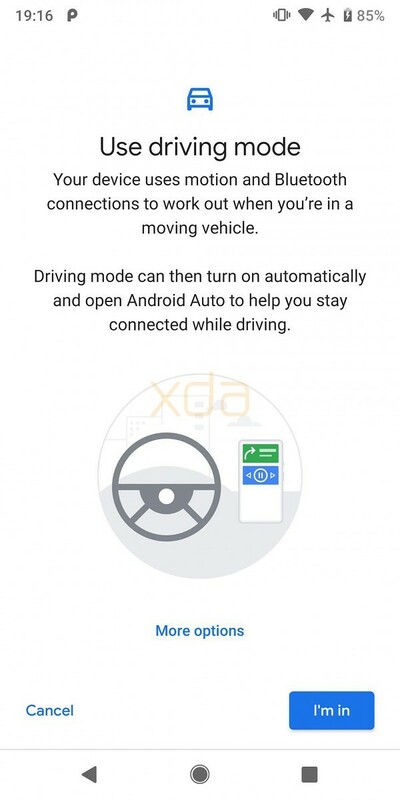 We’ve seen this feature before launch so we know what it’s supposed to do: Turn on Do-Not-Disturb mode and/or launch Android Auto if the user is detected to be driving, either via motion detection or certain Bluetooth connections. Just as I feared, it’s a pretty inconsistent feature that I quickly turned off. 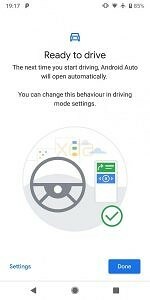 I’ve had the Pixel 3 offer to enter Driving Mode once while I was walking slowly. 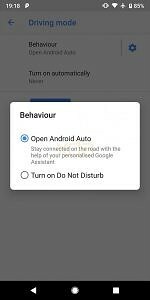 I’ve also had Driving Mode turn on Android Auto automatically when I was in an airplane. I like that the feature at least warns you before it turns on so you can stop it before it’s activated, but I’ve found myself shutting it down too many times when it’s not needed. 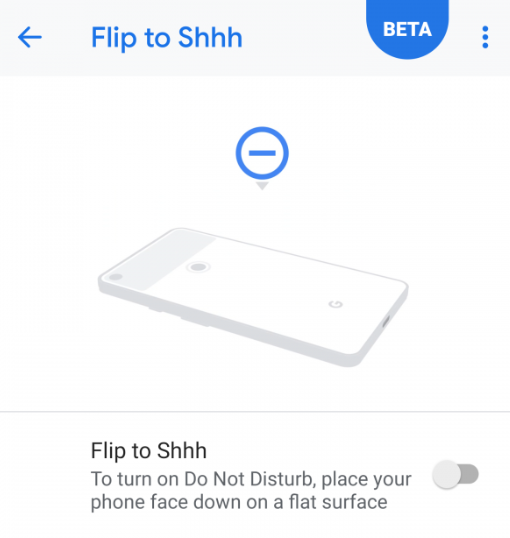 The Flip to Shhh gesture, which lets you turn on Do Not Disturb mode by flipping the phone over, works as expected. You flip the phone over onto its back and it mutes after about 3 seconds, and turn it back on its front or pick it up to instantly unmute. This feature has been around for years on other devices—the Motorola Moto G4 from mid-2016 had it—so it would be embarrassing for the Pixel 3 to not have it perfected. 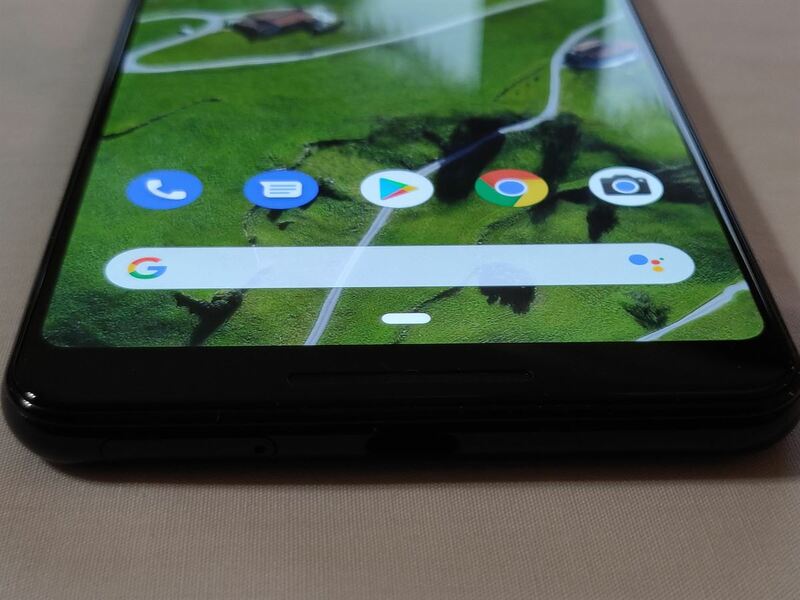 We’re not entirely sure why this feature is a Pixel 3 exclusive considering we were able to enable it manually and Google showed off the feature at Google I/O earlier this year. 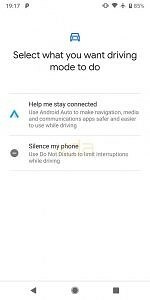 Amusingly, Google’s commercial for the feature shows off a bunch of scenarios where Flip to Shhh won’t help. You have to flip the device over on a flat surface for it to trigger, so just placing it in your pocket won’t turn on Do Not Disturb mode. Two features from the Google Pixel 2 are back on the Pixel 3: the ambient music recognition feature called Now Playing and the squeeze feature called Active Edge. If you’re unfamiliar with how Now Playing works, here’s a primer. If you’re unfamiliar with what Active Edge does, you can basically launch Google Assistant or silence alarms, timers, notifications, and calls by squeezing the sides of your phone. Both features are basically unchanged on the Pixel 3, but Now Playing does retain a history of previously recognized songs so you don’t have to use third-party apps anymore. I’m not sure when the Pixel 2 will receive Now Playing history, though. The security of the Pixel 3 is really undersold by Google’s marketing, but is widely recognized by security experts. 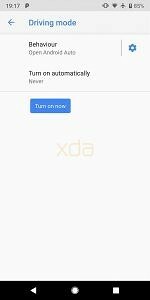 Few users may be aware that the Pixel 2 has a tamper-resistant hardware security module. The HSM is a discrete chip, separate from the main SoC, used for secure transactions. Most users won’t notice the benefits, but the potential applications for secure medical and financial transactions are exciting. This year, Google was proud to show off the new Titan Security Module in both the Pixel 3 and Pixel Slate. While we don’t have any exact details, what little we know is promising. You don’t have to know a single thing about security to know that the Google Pixel is a secure smartphone—perhaps the most secure consumer smartphone. I always recommend my less tech-savvy friends and family members buy a Chromebook, and I will also recommend the Google Pixel because all the developers that I trust have faith in the Pixel’s security. A few months after the first-generation Google Pixel was released, there were few custom ROMs and kernels for the device. Many members of the community blamed the devices’ use of A/B partitions for seamless updates, but A/B partitions are actually quite useful for developers. In reality, the high price of the Pixel devices and the fact that the devices run nearly stock Android (ie. there’s less for developers to “fix”) were to blame for the lack of custom development. Still, you’ll find plenty of custom ROMs and kernels on our forums for the Pixel and Pixel 2, so we suspect that the Pixel 3 will also have a healthy development community in the future. The same reasons why I would recommend a Pixel—Speed, Simplicity, and Security—are also major reasons why developers would pick up a Pixel 3 or Pixel 3 XL, regardless of their price. I know that XDA Recognized Developers Dees_Troy and topjohnwu, the lead developers of TWRP and Magisk respectively, have already placed orders for the device, for instance. Some of you may be disappointed to learn there’s no face unlock feature on the Pixel 3. Even the old face unlock that was part of Android Lollipop’s “Smart Lock” feature is gone. When you think about why, it should make sense. The old face unlock was incredibly insecure and was easily beaten by a photo. 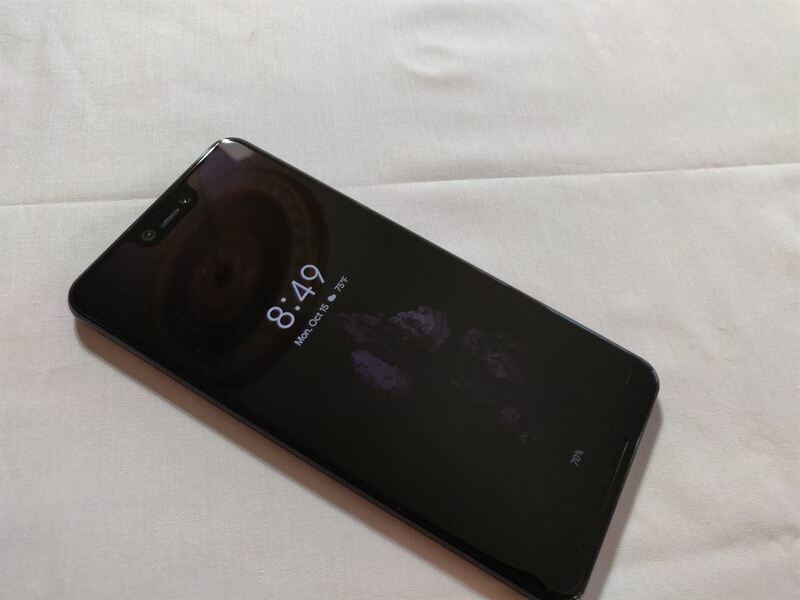 The face unlock feature on devices like the OnePlus 5T, OnePlus 6, and Xiaomi POCO F1, while more secure than the Smart Lock version, are still not secure enough to be used outside of unlocking the device. 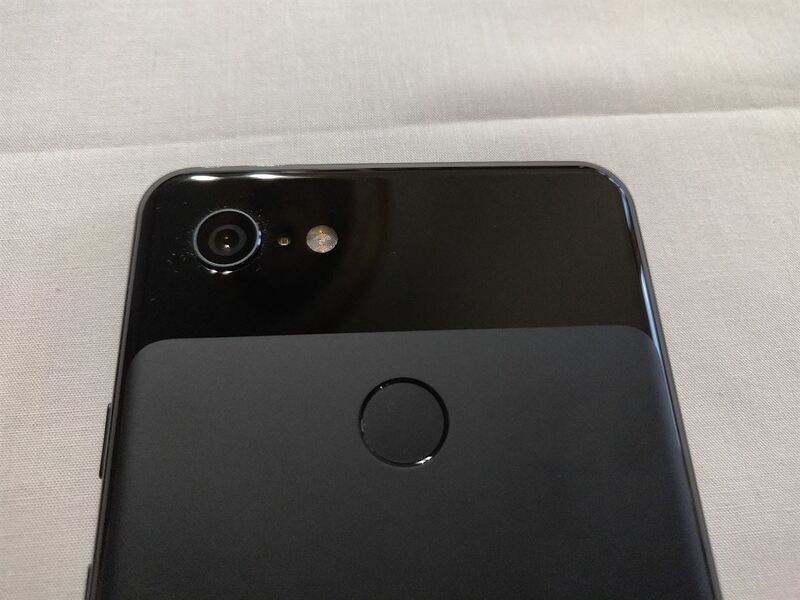 Google opted for a wide-angle lens as the secondary front-facing camera lens, so there’s no room for a structured-light 3D scanner module like on the Xiaomi Mi 8 EE or Apple iPhone X. Pixel Imprint (the term for the Pixel’s rear-mounted fingerprint scanner) still works rather well, so I’m not too disappointed by the lack of face unlock. I hope that the next generation Pixel has either an in-display fingerprint scanner or a structured-light 3D scanner, though. Before I talk about the audio quality, I would just like to say that I am in no way an audiophile. Although I’ve browsed audiophile forums for recommendations on headphones in the past, I am not qualified to objectively rate the speaker quality or audio output quality using measurements from equipment I do not own. I’m basing these thoughts off what I hear from my own two ears. I believe that audio quality is something you need to experience for yourself to truly feel, so take my thoughts only as a guideline for what to expect. The audio output from the Pixel USB-C Earbuds was incredible—excellent bass and minimal distortion at high volume levels. My only qualm is that the robotic Google Assistant voice at maximum volume can sound grating. I tested the audio output quality by listening to Vue from YouTube and following the guide on AudioCheck, and the Pixel USB-C Earbuds passed with flying colors. I can hear frequencies as low as 30Hz and as high as 17kHz via the Pixel USB-C Earbuds, though of course, your mileage may vary. Does that mean I’m over the lack of a headphone jack? I’m definitely getting there, after having used the Pixel 2 XL for many months and planning on using the OnePlus 6T and Pixel 3 XL extensively in the future. The Pixel USB-C Earbuds are a nice addition to the Pixel 3 package, even though it means you’ll have to remember to carry them around whenever you want to listen to any music. I briefly tested the speakers for loudness and clarity. I listened to a high-quality rip of Red Swan on the OnePlus 6, Google Pixel 2 XL, and Google Pixel 3 XL. I placed all 3 devices on a table and stood equidistant from all 3 and also walked as far away as I could before I could no longer hear the music from any of the devices. In terms of loudness, the OnePlus 6 was the loudest followed by the Pixel 3 XL and then the Pixel 2 XL. However, when I played the song on each device in a closed room, I noticed that there were some distortions in the audio from the OnePlus 6’s speaker while the Pixel 3 XL’s felt cleaner. Before we dive into the camera comparison test, I wanted to give my thoughts on all the new Google Camera features. Google Camera 6.1: I love the new design. Swiping between modes makes way more sense than opening a sidebar menu, which was often frustrating to do. The ability to adjust the depth of Portrait Mode shots and add a Color Pop effect can transform an already great picture into an excellent one. RAW capture support is great, though I personally rely on Google Camera’s post-processing to do all the work for me. Encoding videos in HEVC is also welcome, especially since most playback devices should support h265 decoding by this point. Lastly, the ability to record audio from an external microphone during video recording is finally here! Any device which supports the Google Camera app will get the new version, but ports of the app are already underway for those of you who don’t own a Pixel. Top Shot: 9 times out of 10, Google Camera synthesizes the perfect shot for me. I haven’t come across a shot where I’ve needed to use Top Shot for, but I’m glad to know it’s there for when I take a shot that I can’t go back and re-take. Top Shot basically saves a bunch of alternative images (they’re compressed to save space) that you can pick from in case the recommended one isn’t to your liking. Subject Tracking AutoFocus: I really, really like this new feature. It’s amazing for when you’re trying to get a photo of a moving object like an animal. You just tap on it and the camera will stay focused on the object. Combine this with Top Shot, and you’re almost guaranteed to have a great shot, even if your initial picture isn’t on the mark. Photobooth: This one is silly, but it works pretty well. Other devices already have similar “smile detection” features, but Photobooth on the Pixel 3 takes it a bit further by recognizing when you or a group of people make silly faces too. I only tried this once and didn’t have any issues with recognition, but I’m not sure how quickly this feature falls apart in poor lighting conditions. Super Res Zoom: A nice name for a feature you don’t have to think about, but will appreciate nonetheless. This apparently only works at 1.2X zoom or higher and even moves the lens automatically if it doesn’t detect any hand motion. The improvements offered by Super Res Zoom are most notable during night shots. This section was written by Daniel Marchena. This is not a monumental jump in the Pixel camera in terms of the standard photography experience. 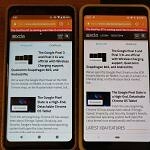 Generally speaking, while you could see a common thread that separated the Pixel 2 and Pixel 3, most of that is tuning and the photos are relatively the same. Some have complained about the overly cool color balancing on the Pixel 2 and it looks like Google worked to rectify that with Pixel 3. While there are shots where the blue hue shows through, the Pixel 3 changes things up. However, instead of going to a more yellow color balancing they shifted magenta. I also noticed that the Pixel 3 went with significantly lower shutter speeds to allow for lower ISO and lower noise in night shots. While this offers the potential to create a crisper image, you do risk hand movements blurring the photo as was the case with Night 001 where the Pixel 2 had double the ISO but also a shutter speed of twice as fast. The Pixel 3 kept below 200 ISO but hit the 1/25 which is around the minimum you want with handheld photography even with OIS compensating. Night 004 is a case where this benefits the Pixel 3’s use of slow shutter with a crisper shot and far less noise in the sky. It is a trade-off and it looks like Google is willing to take some chances to get a better image. As I mentioned earlier the Pixel 3 sensor does have a stark magenta shift, while this is noticeable in daylight shots, Night 009 shows how a harsh magenta shift can change the feel of an image. It is almost distracting and it is not clear if this is what Google intended or if this a defect in our unit. Super Res Zoom is quite the amazing piece of technology. There is a very clear difference in the night shots where it was used offering better exposure, colors, and a far higher amount of detail. We need to compare this with a proper telephoto sensor like the one on the Samsung Galaxy Note 9 or iPhone XS to see if this can replace a dual sensor solution, but in night shots where most of the competitors rely on digital zoom instead of that second sensor, the Pixel will have a clear lead. If you liked the camera experience on the Pixel 2 you will find the Pixel 3 incredibly similar which is reflective of Google sticking with a very minor sensor update from the IMX362 to the IMX363. That could be worrying for Google as competitors like Apple are using the same underlying concept of stacking images with the new iPhone XS and XS Max. 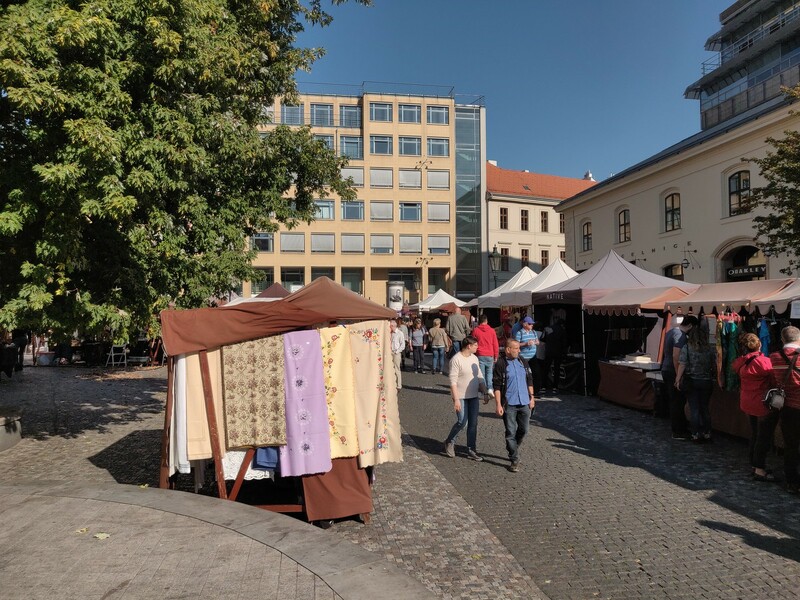 The differences, and likely the benefit in the Pixel 3 will come down to the new software tricks like the Night Sight mode and Super Res Zoom, the former we will have to wait a little bit to see implemented and the latter of which added a clearly identifiable benefit to the capabilities of the phone. Below, you’ll find the pictures we took to compare the 3 devices. 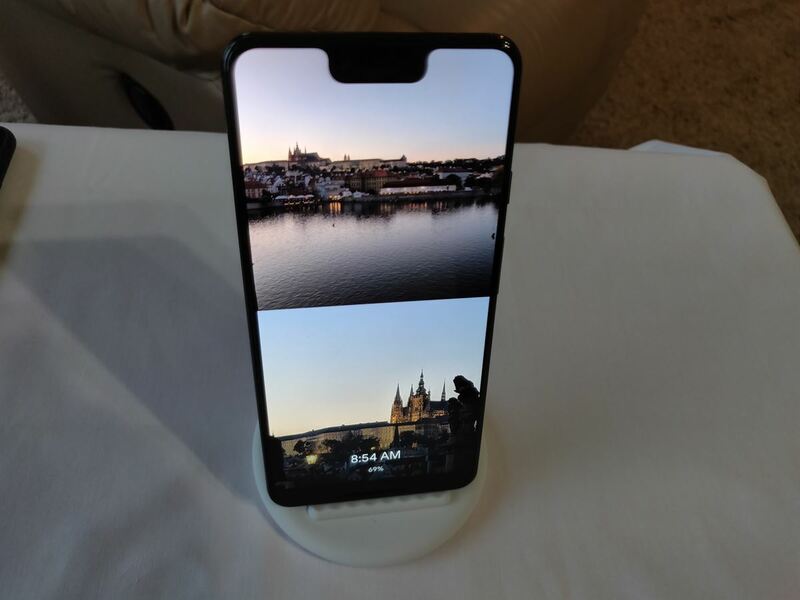 The first picture is from the OnePlus 6 while the second picture from the Google Pixel 2 XL and lastly the third picture from the Google Pixel 3 XL. Use AutoFPS when you know suitable light is going to be a problem like indoors or at dusk in the evening where you want 60FPS but are willing to drop to 30 to save noise. We noticed that the stabilization movements in this mode feel unnatural much like the Google Pixel 1 which had no OIS and instead relied only on EIS. 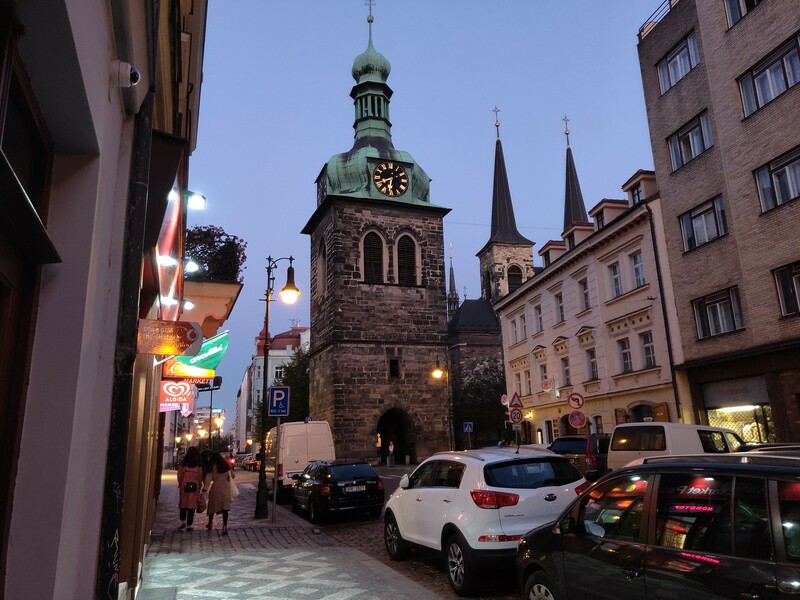 The Pixel 3 could be relying on their electronic stabilization for this mode as in our dusk shot you can see how much smoother it is. We need some more time with the camera to test and see what sort of stabilization is being used in this mode to come to a conclusive result though. Otherwise, this performs much like the Pixel 2, as it should, with the big change being the new true stereo sound recording. While this is not up to the level of HTC with its lossless audio recording or LG, it is a good improvement over the Pixel 2. It does still lack in noise reduction as the Pixel 3 is using 3 microphones instead of the 4 some competitors like Apple are using. 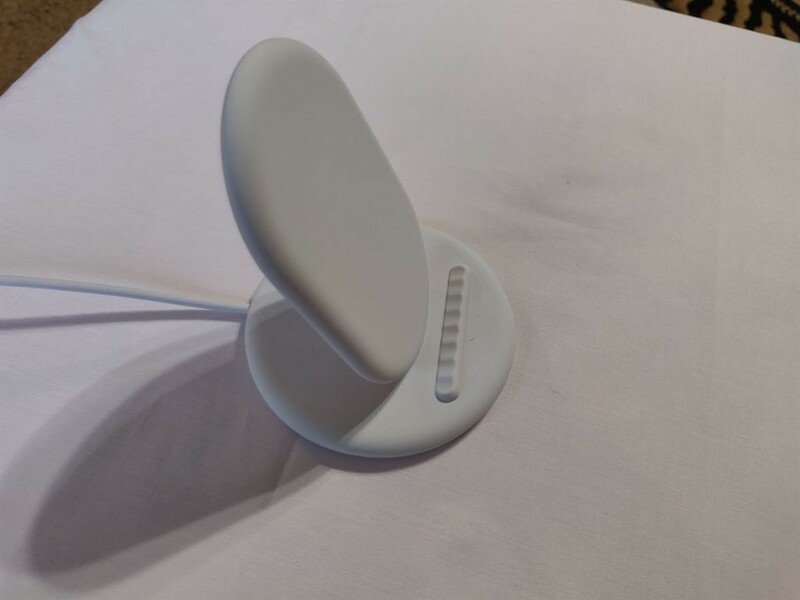 Google has brought back wireless charging on the Pixel 3, and they’re also selling a wireless charger accessory called the Pixel Stand. It’s a sleek charger mat that is slanted to prop up your device on a table. I personally prefer it this way because it lets you see the Always on Display while on your desk. 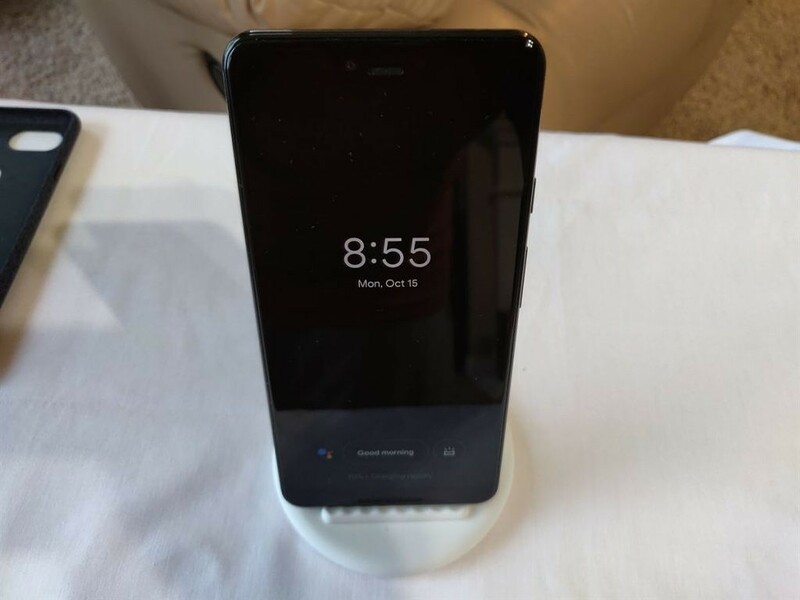 Although you can place the Pixel 3 on the stand horizontally, the Always on Display doesn’t support landscape mode so it’ll be a bit of an awkward experience. The Pixel Stand isn’t just a regular wireless charger, though. It has a few integrations with Google Assistant and the Pixel 3’s Always on Display that aren’t available for other Qi wireless chargers. You can view your Google Photos albums, your Visual Snapshot for the day, and access a shortcut to your “My Day” Google Assistant routine. It also integrates with the Google Clock app to display a special UI that changes color to help you wake up. Lastly, you can have the phone automatically enable Do Not Disturb mode when docked into the Pixel Stand. Something interesting that I’ve noticed is that pictures from Google Photos albums can be placed on top of each other vertically. This is because many of your photos will be too wide to be properly shown on the Pixel 3’s display, so it’s better to fill up the screen with multiple images rather than centering a single image on screen. The Pixel Stand is powered via a single USB Type-C port. 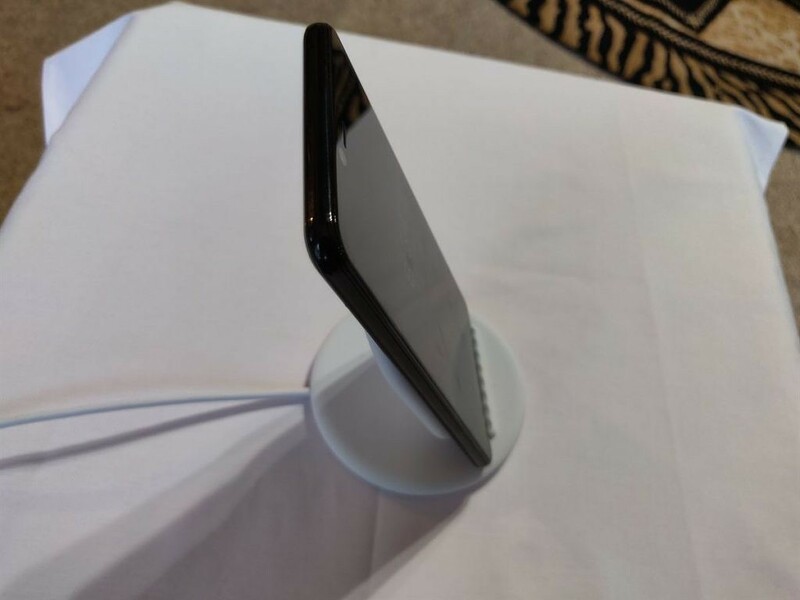 The Google Pixel 3 supports 10W wireless charging via the Pixel Stand and other 10W wireless chargers. (The Pixel Stand can charger other smartphones, but only at 5W power.) I wasn’t too impressed by the wireless charging speed offered by the Pixel Stand. I was only able to record data from a single charging cycle so I can’t give the full numbers just yet, but it took about 2 hours and 37 minutes to charge the Pixel 3 XL from 5% to 100% and 59 minutes to charge the Pixel 3 XL from 5% to 50%. This was while the device had no background services running and no Google Photos albums on display. The device also becomes pretty warm, with the battery temperature reaching 43.5°C at its peak. With the Razer Phone 2 and Huawei Mate 20 Pro‘s wireless chargers offering 15W of power, Google’s claim of offering the fastest wireless charger was short lived. It remains to be seen if the wireless chargers from Razer and Huawei will offer the cool Always on Display integrations that Google’s Pixel Stand has, though. 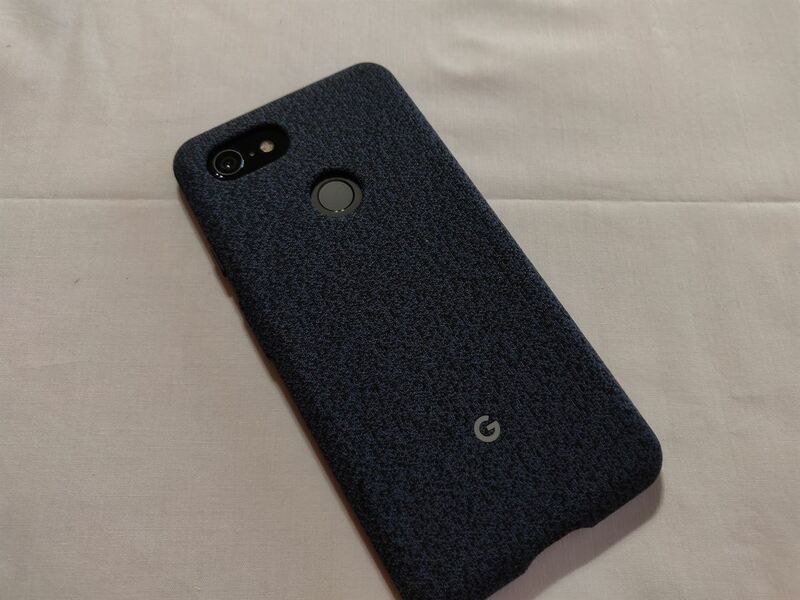 I adore the Fabric Case on my Pixel 2 XL. I place the Fabric Case up there with OnePlus’ iconic sandstone cases, because the texture is extremely grippy, looks beautiful, and feels great in hand. That’s why I was excited to see my review bag contain the new Fabric Case for the Pixel 3 XL. While I love the subtle sparkling effect on the new case (it’s really hard to capture on camera), the case feels like a very slight downgrade from the Pixel 2’s Fabric Case. 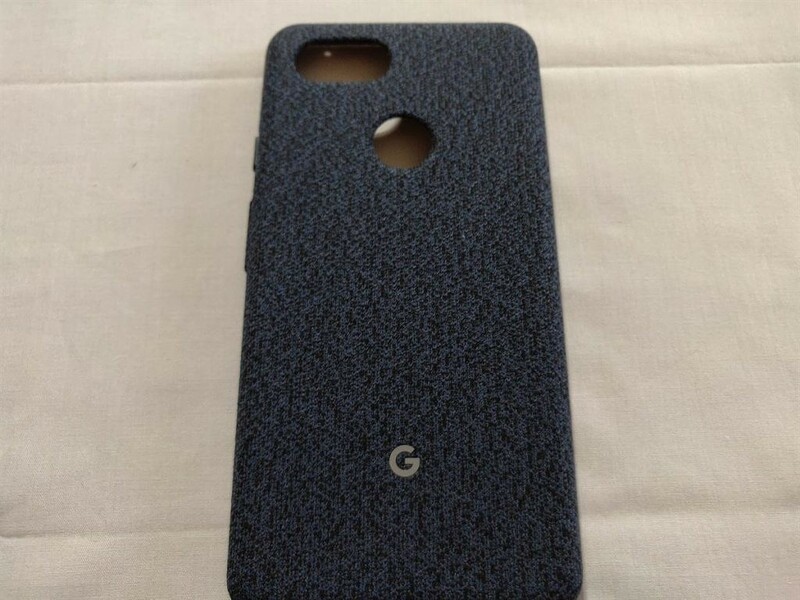 Don’t get me wrong, the Fabric Case on the Pixel 3 XL is still miles better than the majority of cases you can buy off of Amazon, but it doesn’t feel as textured as last year’s case. I haven’t used the case on the Pixel 3 XL for very long, so I can’t tell you how it’ll feel after settling in or how durable it is. 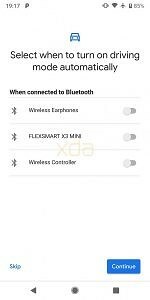 Google gives you a USB Type-C to Type-A adapter, a USB Type-C to 3.5 mm headphone jack adapter, and a SIM tray ejection tool, though you may get other accessories depending on your region or carrier. Here’s an unboxing video that TK Bay did while we were at the Made By Google event in New York. Before the Pixel 3 and Pixel 3 XL were unveiled, there was little doubt in my mind that I would be grabbing either model. Barring any major issues like horrible lag that some Pixel 2 users experienced, the Pixel 3 is a slight upgrade over the Pixel 2 in all the areas where it really matters: camera and software. With the Pixel 3, I know I’ll be getting monthly security updates on time every month, and will get Android upgrades all the way to Android S. The Pixel 3’s camera improvements are fairly minor over the Pixel 2, but the Pixel 2 was, and still is, one of the best mobile shooters on the market. If you’re looking to upgrade from the first-generation Pixel or Nexus 6P/Nexus 5X, the Pixel 3 is certainly a worthy upgrade if you can afford it. This month, we’re seeing a bunch of new smartphones on the market. The Razer Phone 2, Google Pixel 3, Huawei Mate 20, and OnePlus 6T are just a few of the major devices releasing this month. Although I highly recommend the Pixel 3 to anyone who highly values camera quality and security, I would wait a month to see how user reviews pan out. I’ve only had the device for 5 days, but will be playing around with it some more for my upcoming review on the Pixel 3 XL’s performance and battery life. 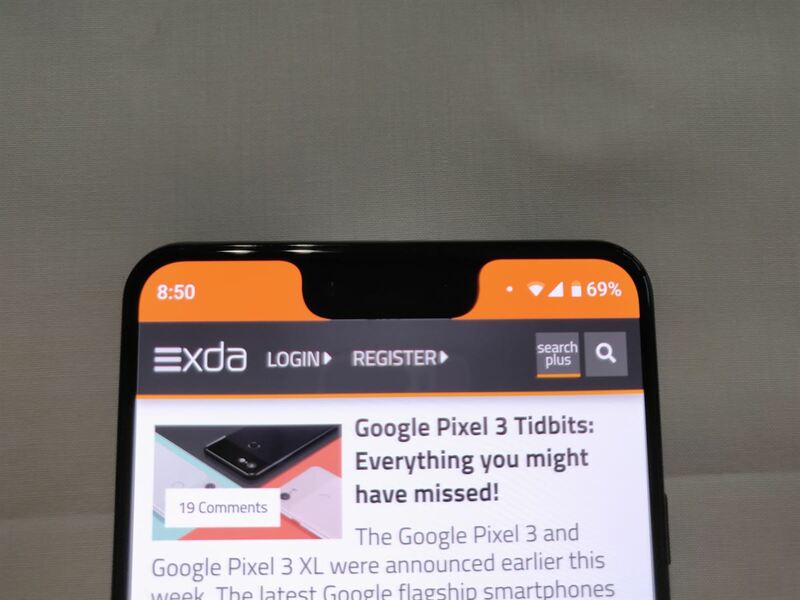 Stay tuned to XDA for more Pixel 3 coverage! Where can you get the Google Pixel 3? Here’s a table showing the pricing for each storage variant of the Pixel 3 and Pixel 3 XL. The Pixel 3 only comes in a 4GB RAM model, so there are no pricing variances there. The Pixel Stand accessory costs $79 in the United States and £69 in the United Kingdom. Please refer to your country’s Google Store listing for the exact pricing of the Google Pixel 3, Google Pixel 3 XL, and Pixel Stand. Looking for a place to chat with your fellow XDA members while you wait for your Pixel 3 to arrive? Check out the XDA forums for each device below.